accompanying news that the New Nintendo 3DS will at long last arrive in North America later this month. 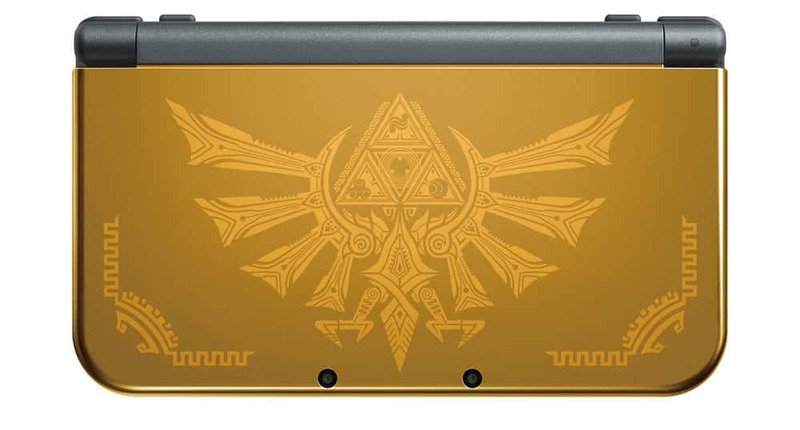 The gold-coloured system is emblazoned with an intricate Hylian Crest on the front cover, and will be available from October 30th. That coincides with The Legend of Zelda: Tri Force Heroes launching, although the Nintendo 3DS exclusive will be sold separately. The Hyrule Edition New Nintendo 3DS XL will be available exclusively at GameStop, priced at $199.99. However it soon sold out online on the retailer’s website, so it’s best to check with your local store. Nintendo of Europe hasn’t confirmed similar plans for the region, although we’ll keep you posted!